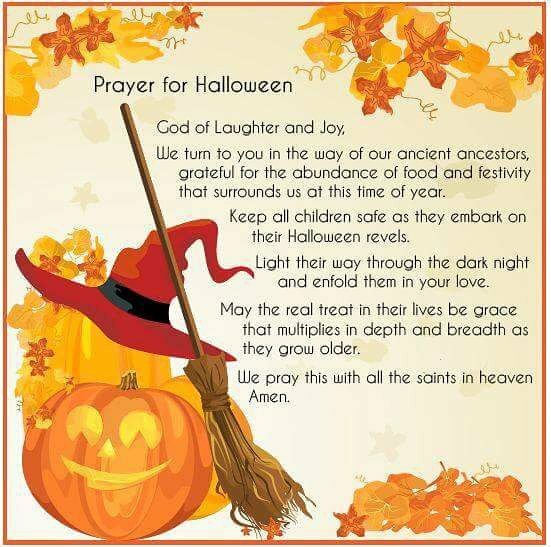 I recently came across this prayer for Hallowe'en by William H Sadlier. There's a graciousness to it which, for me, strikes the right note for this season. We can deplore the rampant commercialisation and global, secularised re-branding of traditional Christian feasts; disapprove of the zombies and vampires which have invaded the eve of All Hallows, the disappearance of friendlier spirits, and the imported trick or treating, but simple deploring and disapproving will never get us very far. St Francis de Sales famously said that you can attract more flies with a spoonful of honey than a barrelful of vinegar - and this prayer is most definitely sweet and honeyed rather than sour. In its simplicity it will surely pierce the clouds and go right to the Heart of God. And it isn't only children to whom the final petition can be applied: whatever our age, we all need the real treat of grace that multiplies in depth and breadth year upon year. May we ask this for each other as well as for younger generations!